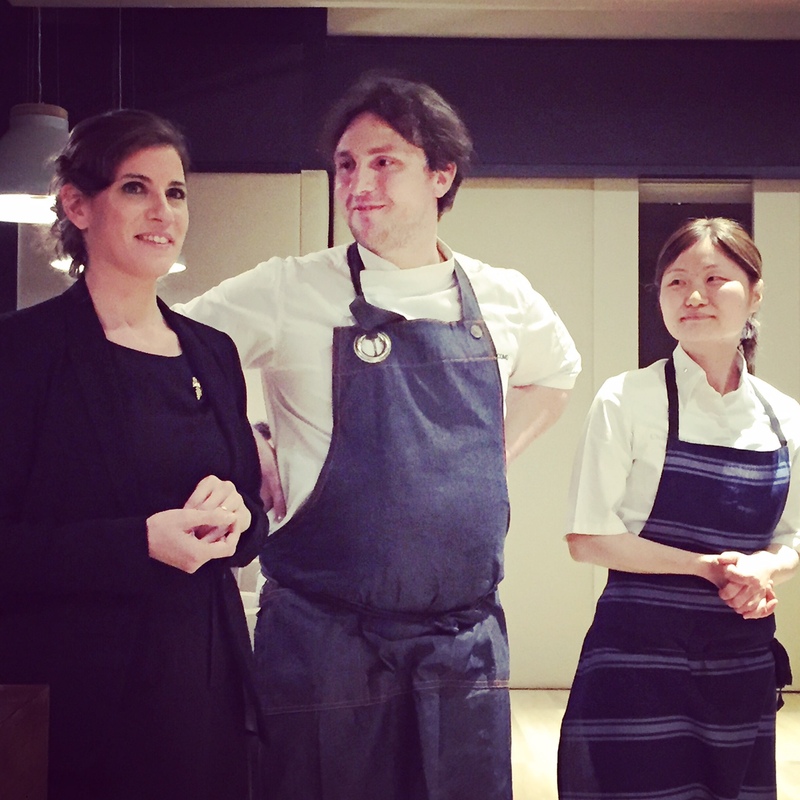 In Argentina for less than a week, sommelier Paz Levinson and her Virtus, Paris colleagues, chefs Chiho Kanzaki and Marcelo Di Giacomo, are already on their third pop-up dinner that focuses on regional produce. (L to R): Paz, Marcelo, Chiho. The world’s fourth-best sommelier and well-balanced wine heroine Paz hosted the Buenos Aires leg at Espacio Dolli last Wednesday. Japan’s Chiho and Argentina’s Marcelo arrived a day earlier to source products then cook with Guido Tassi from Restó, Paz pairing wares from Trapiche. An all-star cast like this just screams ‘How do I get a ticket to this? !’ The answer: invite only. But this flying visit wasn’t just been directed at BA’s fooderati. Part two headed to Trapiche’s home turf and brand-new restaurant at the Maipú-based winery on Saturday. There, Paz paired some gems with Virtus and Trapiche dishes, allowing the local team to also shine. One spot-on pairing was Trapiche’s Costa & Pampa Sauvignon Blanc 2014, sourced from Argentina’s Atlantic coast in Chapadmalal, matched with chilled fennel risotto, citrus mousse with pears and lemon emulsion courtesy of Team T. Failsafe matching like for like, it immaculately prepped tastebuds for the next round: voluptuous beef heart sweetbreads, lentils and a vin jaune salsa. 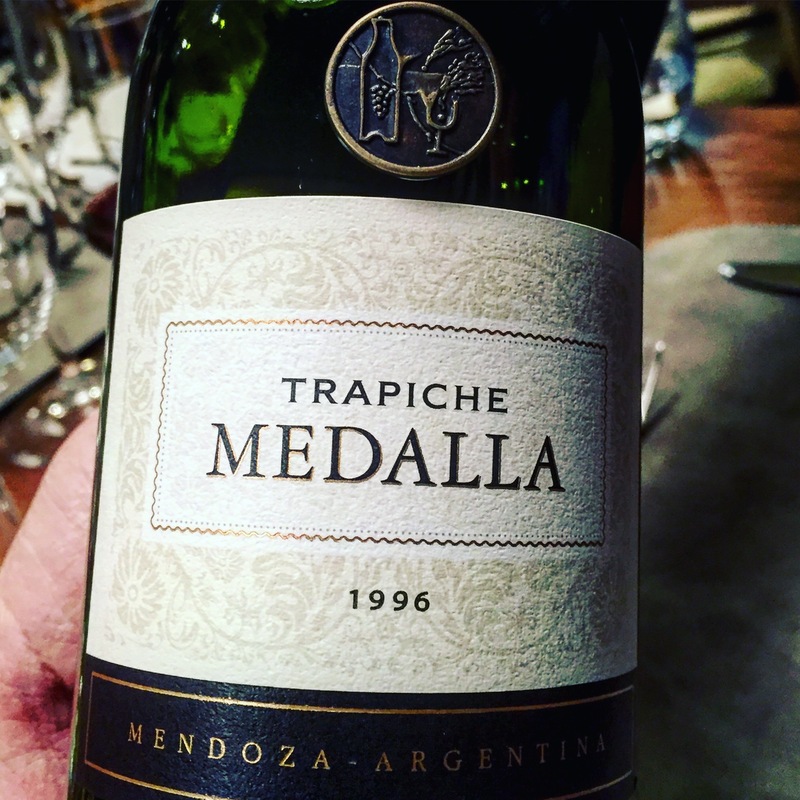 Wine warp back to 1996 with Trapiche’s Medalla Blend. It was a choose your own adventure scenario with a dynamic double pairing: Gran Medalla Chardonnay 2014 (on paper, the winner) or Medalla Blend 1996 featuring Cabernets Sauvignon and Franc plus a hint of Merlot. What a wine warp machine. Twenty years young, the red blend had it, for its eternal nose, splendid acidity and complexity. And, as Trapiche winemaker Daniel Pi wryly pointed out, Franc isn’t just a passing fad or a 2016 buzzword in Argentina. Besides watching Paz competing during Le Concours du Meilleur Sommelier du Monde in April, this was a personal first to see her smoothly wind her way the salon, besides introducing wines alongside Daniel and Sergio Case, another of Trapiche’s winemakers. At one point she stopped by my table – an eclectic bunch including chef Pablo Del Río from Siete Cocinas, his sous chef Carlos Hernández, sommelier Matías Prezioso, Daniela Pi from Tres14 wines (and daughter of…) and WofA’s Soledad Juncosa – with a sneaky 2007 vin jaune, Savagnin by Clavelin & Fils from Vernois, Côtes du Jura. The base to the sweetbreads sauce, she muttered: “I can’t give you too much to try because Chiho will kill me!” Naturally, those oxidised notes were killer, a real treat. Tonight, Paz, Chiho and and Marcelo team up with legendary Bariloche chef China Müller from Cassis. This is Paz’s home city, so those with the good fortune to have been tipped the wink are doubtless in for a spectacular close to this pop-up trilogy. And, now that Paz has moved on from Paris’ Le Bristol hotel to take a more independent position at Virtus with Chicho and Marcelo, allowing time to travel and indulge her own whims, hopefully Argentina will be seeing far more of this class act in the future.